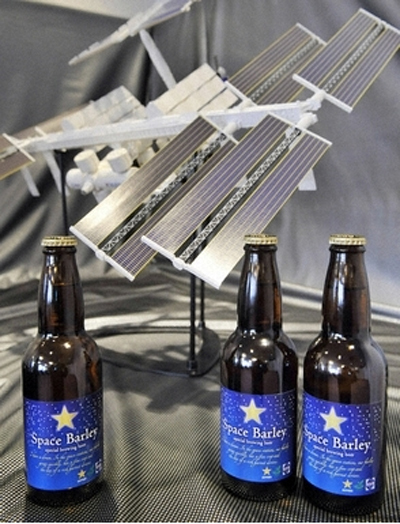 Sapporo Beer stored barley seeds on board the International Space Station for five months. With those barley seeds they made some beer that they intend to use for experiments of some kind (maybe how beer made with ingredients grown in zero-gravity tastes 😉 ). But they’ve bottled some of the beer for consumer consumption. They’re calling the beer brewed with barley that was in outer space “Space Barley“. The amount of beer that Sapporo Beer is offering the public is a very limited supply, and, as you might imagine, expensive. Only 250 six-packs of the 330ml bottles will be sold. The price is ¥10,000 (about US$113) for a six-pack. I’d like to try the “Space Barley” beer and I’d definitely add the bottle to my collection, if I had one…but ¥10,000 for a six-pack is pretty pricey. If they sold individual bottles for 1/6 the price, at ¥1667 (US$18.83), I’d probably get one then. If you want to buy a six-pack of the very limited-edition Sapporo “Space Barley” beer, you have to order it online by 2009 December 24. There is another way to try this beer, though. Sapporo Beer is offering free tours and tasting of the “Space Barley” beer to 30 couples. To enter the drawing for the beer tasting, you have to send a postcard to Sapporo Beer by December 15th. I’d enter this contest if the date of the tour / beer tasting was on a holiday rather than a weekday afternoon. I wrote about Pepsi Japan‘s new drink that they started selling this week called Pepsi Shiso. I decided to buy a bottle of it today to try it just for the novelty value. 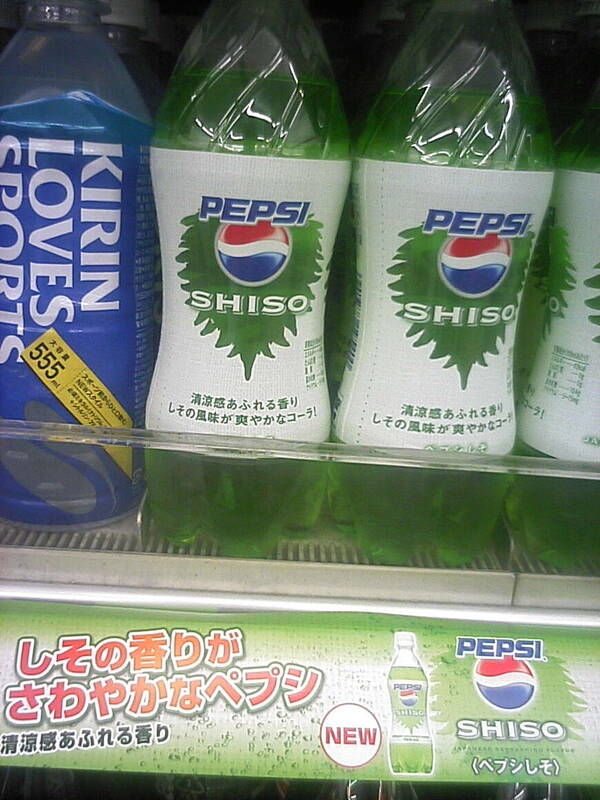 "Pepsi Shiso" on the convenience store shelf. I know what シソ (Shiso), the Japanese herb, tastes like. We actually have some growing in my wife’s garden right now. I like it fine…but the idea of “Shiso flavored cola” seemed very odd to me. I was right. Pepsi Shiso smells and tastes alot like the herb. As I said, I think Shiso is good…as an herb. But in a cola, I found it unappealing. I took a couple sips to try it, and gave the rest of the drink to my kids. Even they found it “mediocre”. I guess we won’t be buying Pepsi Shiso again. After trying the Pepsi Shiso, I opened my favorite drink…an ice cold beer! (Actually a 発泡酒 (Low-malt beer), which is just as good to me). 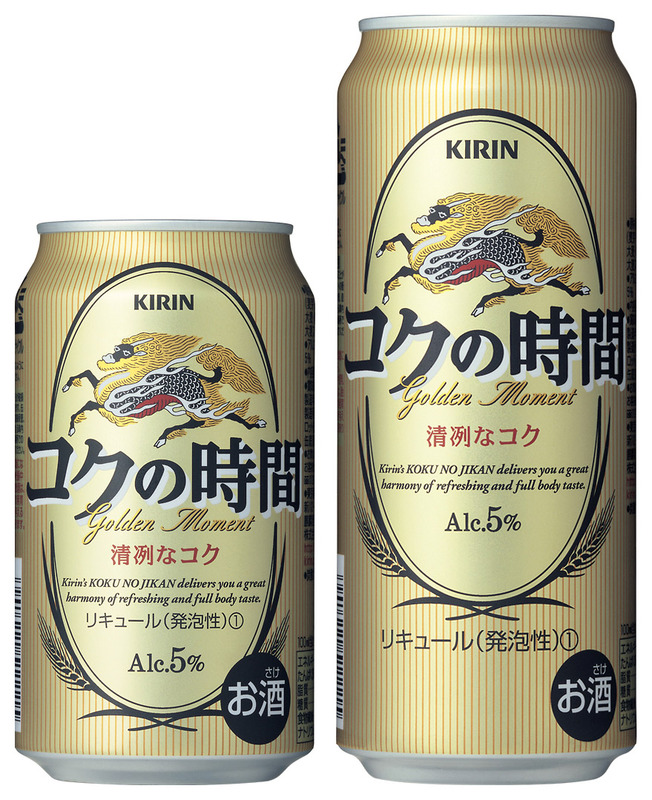 Yesterday, I bought a case of Kirin Beer‘s newest offering: 「コクの時間」 (I would’ve translated it as “Wonderful Time“…but it says on the can “Golden Moments“).